For many, there’s something uniquely comforting about enjoying a piece of pork or beef that has been treated with salts and other moisture-reducing chemicals and smoked to perfection. That’s why few types of food inspire the same devotion from dining enthusiasts as cured meats. Whether they prefer a spicy chorizo or a tangy summer sausage, students pursuing a culinary arts certificate online will find plenty of uses for these these savory items. Setting out cured meats on a board is a simple but satisfying way to dig into a fantastic assortment of tastes and textures. Epicurious provided guidelines for maximizing the experience, beginning with offering between two and five ounces of meat per diner. Variation is essential, going from a hard salami or pepperoni to a soft pate or terrine, with thin slices of a whole muscle cut such as prosciutto or jamon Serrano nearby. While the meat is the main attraction, the right accompaniment will take your charcuterie board to the next level. Add a jam, a grainy mustard and some tart pickles to bring some additional excitement to the table. Bread is a must, so include pieces of baguette or toasts flavored with olive oil and garlic. The muffuletta is a New Orleans tradition that combines an assortment of meats with cheese, and an olive salad on a special roll. Since this specific variety of soft-crusted bread is often hard to locate outside of the Big Easy, you may have to settle for ciabatta or focaccia, the directions from Serious Eats noted. Begin by placing pitted olives, capers, roasted red peppers, parsley, giardiniera and garlic in a food processor. Pulse until all pieces are half-inch or smaller and then move to a bowl. Stir in vinegar and olive oil. You’ll get the best flavor by letting the mixture rest in the refrigerator for several hours before putting the sandwich together. When you’re ready, cut the roll in half and spread on the olive salad. Add layers of soppressata, mortadella, capicola, and provolone. Cover tightly in plastic wrap and wait an hour before cutting into triangular pieces and serving. 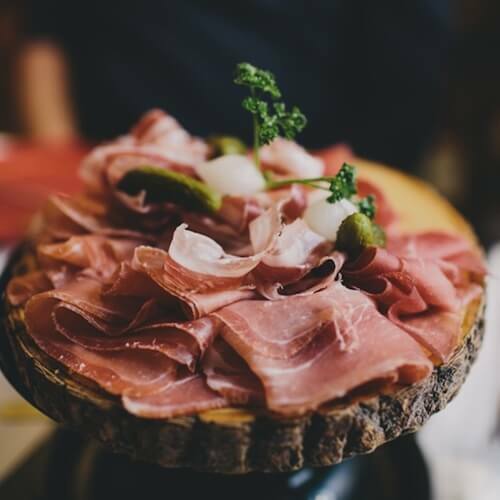 You can find countless applications for a tasty piece of cured meat. Adding asparagus and speck – a dense, spiced ham – to your risotto can bring the beloved dish’s flavor and texture to amazing new places, as Mario Batali demonstrated with his recipe. Begin by cutting the rough ends off a half pound of asparagus and blanching the vegetables. Reserve the water you use to cook the asparagus. Dice a quarter pound of speck and place it in a skillet with olive oil and onion. Cook on a medium heat for five minutes before adding rice. Stir constantly for the next two minutes, and then cover the rice with the cooking water from the asparagus. Raise the heat to high and keep stirring until the liquid falls below the rice. Then, pour in more water a ladle at a time for 15 minutes. Throw in the asparagus and continue cooking until the rice is al dente. Take the skillet off of heat, mixing in grated Parmigiano-Reggiano, butter and parsley. 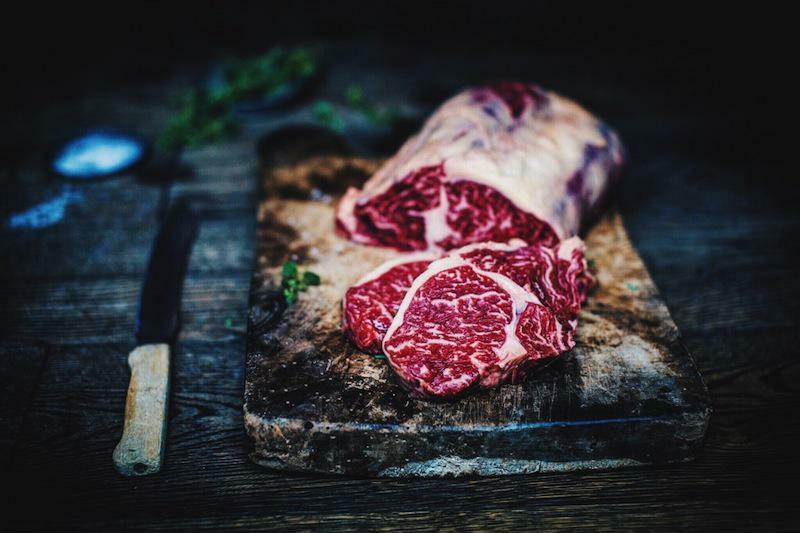 A high-quality cured meat makes a great beginning for a meal, whether you build a sandwich, incorporate it into a classic dish or just enjoy the meat with some mustard and bread. Anyone interested in attending culinary academy will find plenty of crowd-pleasing uses for their favorite varieties of salami, ham and sausage.